We are blessed and fortunate to work with a company that has been the OEM supplier of choice for numerous manufacturers of laser engravers and cutters. Working closely with the manufacturers has allowed them to constantly improve their products and custom design the next generation of air filtration for the laser cutting, marking and engraving industry. 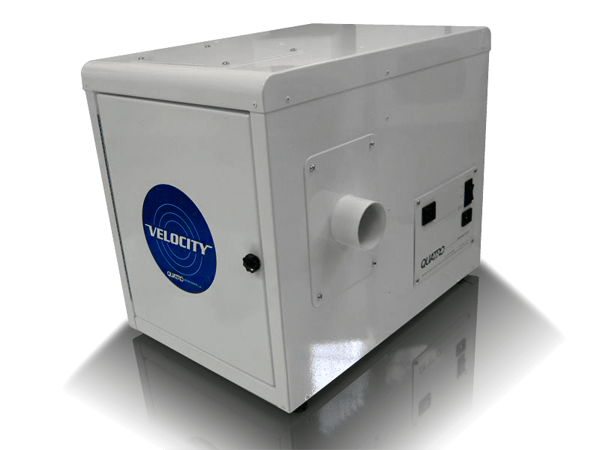 They have been supplying units to the industry for the past eight years and are now on our fourth generation of product with innovations such as our zero bypass Laser Blue Gel. Manufacturers and customers have done extensive testing when comparing their units to competitors and time and time again we hear that their units are more powerful and quieter. We are confident that no other manufacturer of air purification systems can provide such industry proven technology that can compete with them. Effective fume extraction is critical to laser systems due to the possibility of toxic, carcinogenic corrosive or extremely odorous contaminants that can be generated. All of our systems feature multi-stage filtration incorporating a 2” Pre-filter section, 2” Certified HEPA filter and activated carbon modules. We offer systems for light-medium duty tabletop systems favored by hobbyists everywhere as well as mid-heavy duty cycle units for larger tables and/or significant particle accumulation. New this year is our SPH-400 pre-filter section which will turn our popular SPH-400 system into a true heavy duty dust / particulate collector as well. Contact us by phone, toll free, 1-800-626-0664, Skype: lito.espinosa, or using the contact form below for help in choosing the right air filtration system, laser fume, dust, odor extractor system for your needs. 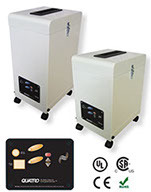 You want to keep dust out from coming into small enclosures (such as an electronic control system, IT computer servers, or other dust sensitive electronics hardware), small spaces, small room – then you most likely need an air filtration system that could pump dust free, clean, filtered air, that can keep a positive air pressure in such a given space. Contact us for help in choosing the right air filtration system for your needs. Yes indeed air filtration fans. The use of large format Laser, High Speed Laser Cutters in cutting stainless steel, other metals, acrylic, plastics, polyester, wood and other raw materials is going mainstream. And yes, using these time saving, efficient tools, these large format high speed laser cutting machines, do produce a lot of indoor air pollutants. There’s smoke, smoke haze, chemical fumes, odors, dust, and other airborne particles. 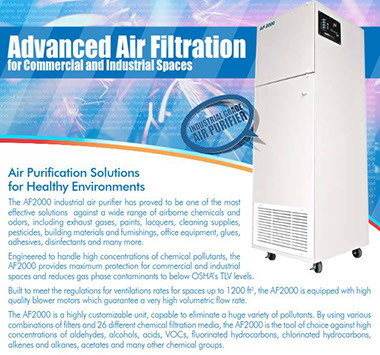 An all around air filtration system, air cleaner, air purifier, air scrubber equipped with pre-filter, post filter, HEPA filter (99.97% efficient down to .3 microns), Chemical gas filter / activated carbon filter is a must to have to help you maintain a clean air environment that is safe, healthy, and conducive to a productive and efficient manufacturing, production environment.